Texas Southern University has canceled a commencement speech by Republican Sen. John Cornyn of Texas. There had been outcry among students at the historically black university. Texas Southern University said Friday that it has canceled its commencement speech by John Cornyn, the U.S. senator who represents the public university. The decision comes amid outcry on the Houston campus over the Republican senator's support for the Trump administration. 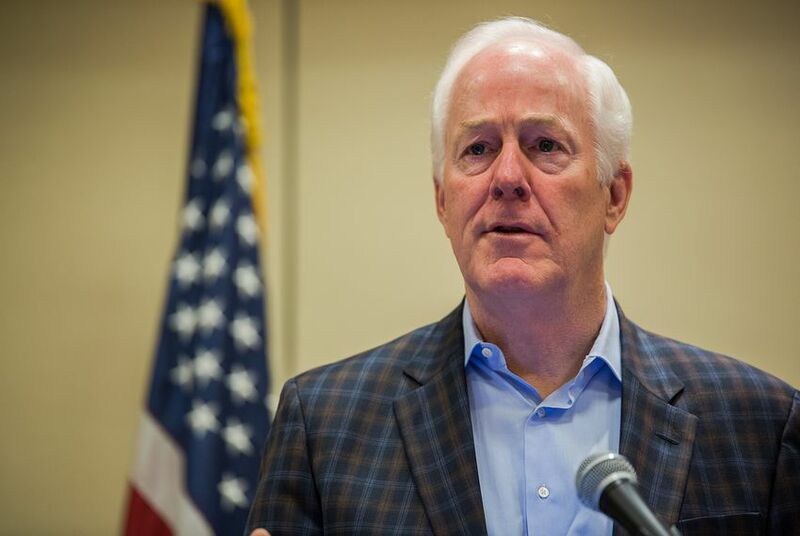 Cornyn had been set to speak at the historically black university on Saturday. The university said in a statement that it has asked Cornyn "to instead visit with our students again at a future date in order to keep the focus on graduates and their families." "We, along with Senator Cornyn, agree that the primary focus of commencement should be a celebration of academic achievement," the statement said. Two Democratic members of Congress who had also been scheduled to speak — U.S. Reps. Al Green and Sheila Jackson Lee, both of Houston — will remain part of the program. The university's statement didn't specifically give a reason for the cancellation. But Cornyn's planned appearance had been generating pushback. A petition on Change.org had generated 846 signatures. The petition said, "Having a politician such as him speak at our institution is an insult to the students, to TSU, and to all [historically black colleges and universities]." The petition cited Cornyn's votes to confirm two of President Donald Trump's cabinet appointees — Attorney General Jeff Sessions and Education Secretary Betsy DeVos. It also raised complaints about Cornyn's support for voter ID laws and efforts to block funding for "sanctuary cities." "This is our graduation. We have the right to decide if we want to refuse to sit and listen to the words of a politician who chooses to use his political power in ways that continually harm marginalized and oppressed people," the petition said. The university didn't specifically comment on those concerns. When asked whether the decision was in response to student opposition, a university spokesman responded that "it was done to ensure that our students and families enjoyed their special day." "Commencement exercises are special moments for our students, their families and the entire university," the university statement said. "Every consideration is made to ensure that our student's graduation day is a celebratory occasion and one they will remember positively for years to come." Texas Southern's decision is the latest case of a conservative speaker drawing protest at a university, drawing questions about role free speech and political dialogue on campuses. On Thursday, DeVos was booed at a commencement speech at Bethune-Cookman University in Florida. An a pair of planned speeches by conservative provocateurs have been cancelled at the University of California, Berkeley in recent months. John Cornyn is said to be on the short list to lead the FBI after James Comey's firing. When a white nationalist came to speak at Texas A&M University, protests erupted. Disclosure: Texas Southern University has been a financial supporter of The Texas Tribune. A complete list of Tribune donors and sponsors can be viewed here.